Los Angeles County Sheriff’s Department Compton Sheriff’s Station is seeking the public’s help in locating a felony hit and run suspect. The traffic collision occurred on Friday, January 25, 2019, at 6:55 p.m. on westbound Artesia Boulevard just west of Delta Avenue in the City of Compton. 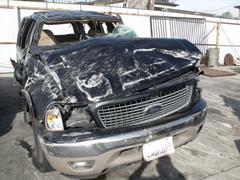 Three family members in a black 2002 Ford Expedition, were traveling west on Artesia Boulevard when they were broadsided by a dark colored vehicle. The suspect vehicle was exiting southbound from a Compton College parking area onto Artesia Boulevard when the incident occurred. 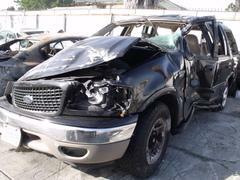 The impact of the vehicles collision caused the Expedition to overturn and eject a nine year-old girl. The girl was transported to a local hospital and is recovering. Anyone with information on the suspect driver or suspect vehicle are asked to please contact Compton Sheriff’s Station Traffic Unit Investigators, Detective Wilson or Traffic Sergeant Thomas at (310) 605-3516 or if you prefer to provide information anonymously, you may call "Crime Stoppers" by dialing (800) 222-TIPS (8477), use your smartphone by downloading the “P3 Tips” Mobile APP on Google play or the Apple App Store or by using the website http://lacrimestoppers.org.